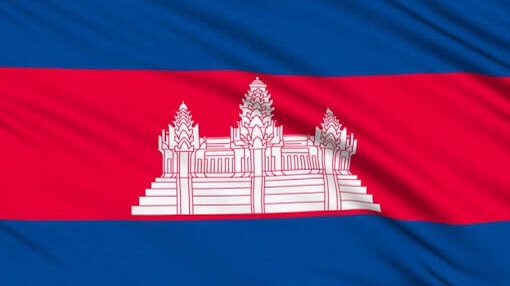 The Kingdom of Cambodia is bordered by Thailand to the northwest, Laos to the northeast, Vietnam to the east and played a role in the Vietnam War and as a result was also bombed by the USA. Most people know Cambodia for the Khmer Rouge Regime that committed genocide after taking power in 1975, they lost most of the country once the Vietnam Army invaded by still held some area into the late 1990s. The Khmer Rouge aimed to reset the country back to year zero and wiped out intellectuals (doctors, lawyers, accountants etc) and city dwellers. About one quarter of the population at the time was killed, around 2 million people. Even today the impact is obvious as there are very few older Cambodians. The history is very sad in particular being so recent in history. I visited one of the killing fields and the S-21 prison from which a handful of people survived out of over ten thousand people sent there. It was incredibly brutal regime. On a more positive note is the Siem Reap temple area. The temple sites in this area represent the ruins of the ancient Angkorian capital cities of the Khmer Empire (9th-13th century AD) and are truly amazing to see in particular Angkor Wat. Some of the other temples have trees growing out of and through the walls. Most of these temples were lost and forgotten until the French rediscover them in the 19th century. To understand the most evil side of mankind and the most amazing and spiritual than Cambodia is a great case study in contrasts. Soldiers killed babies by bashing them against trees (you can still see the strains on the trees) in the same country that created some ancient marvels in the Angkor Temples. This entry was posted in Destinations, Travel and tagged Cambodia. Bookmark the permalink.